PDF (10MB) Click right to download and view current issue in an enhanced full-screen magazine layout using free Acrobat Reader or Adobe Acrobat (other PDF readers may not offer all functions). Use the navigation tools found on the opening page. 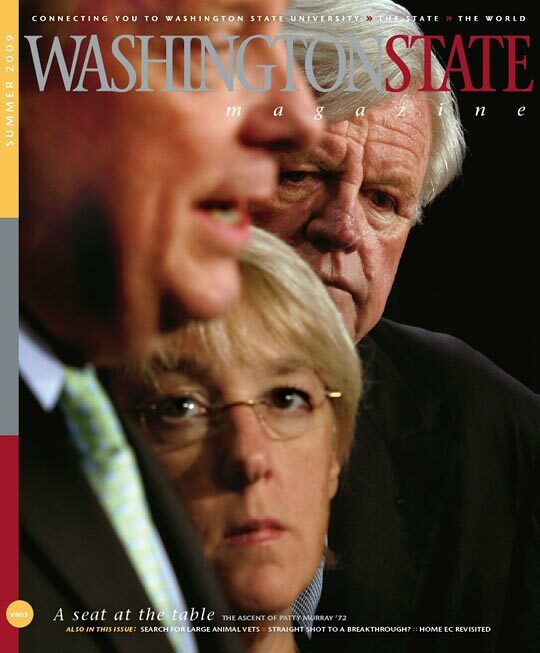 Cover photo: Senate Majority Whip Richard Durbin, Senator Patty Murray, and Senator Edward Kennedy speaking to reporters at the Capitol by Michel du Cille/The Washington Post.